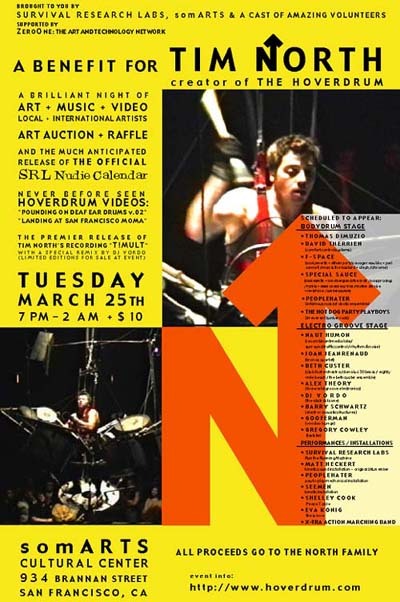 A brilliant night of Music, Art-auction, Videos from local, national and international artists and the much anticipated release of The Official SRL Nudie Calendar - all for the remarkable Tim North who was recently diagnosed with Level 4 stomach cancer. This is an evening to raise cash for Tim North and his family in time of real need. 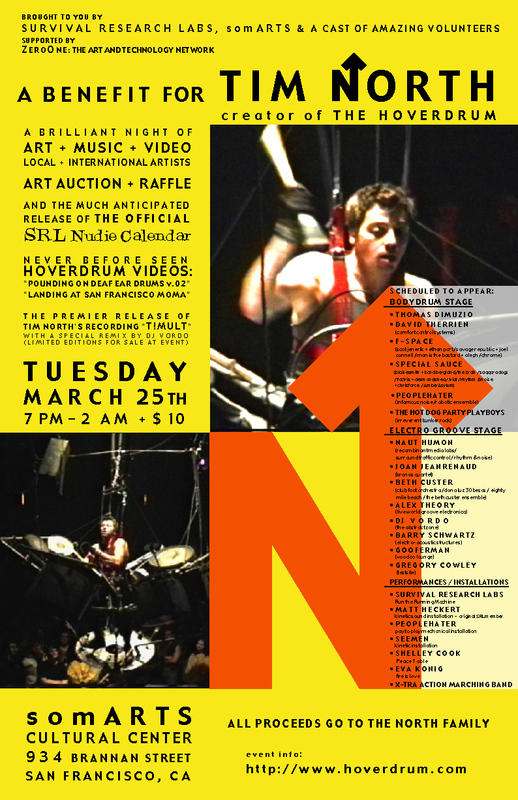 Auction items, calendar, videos, CDs, and special treats for sale - every penny goes to the North Family.